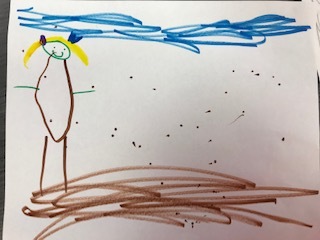 Charlotte, who is in Pre-K, drew this because she loves playing in the snow, and she loves to make snowmen with the snow! 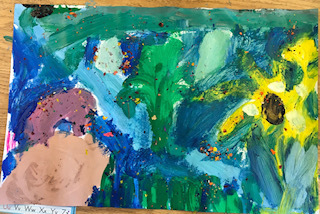 Painting by Kindergartener Eliza! Look how colorful it is! 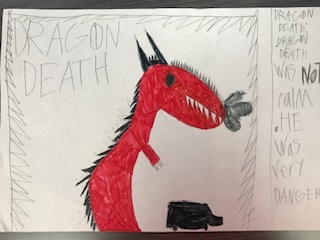 Wayne, who is in First grade, drew a picture about a dragon. The reason why is because he likes dragons a lot, and he thought someone might be interested in it. 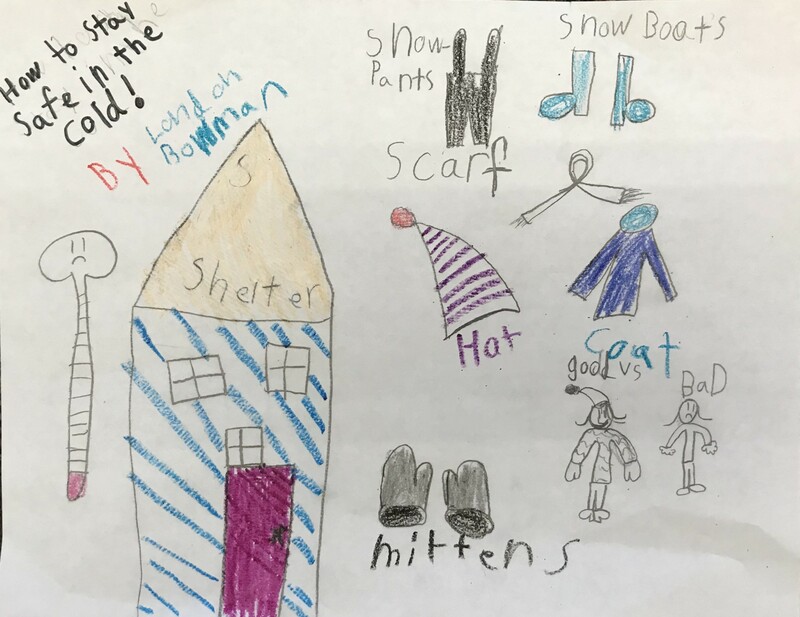 Second grader London drew a picture about how to stay warm in the winter. The drawing has mittens, coats, scarves and many more articles of clothing that keep you warm.